In a Nutshell: By rating the health effects of a product’s ingredients, GoodGuide helps consumers make informed decisions about what they buy. Each product undergoes a scientific review and is investigated thoroughly to ensure the rating reflects concerns about any specific components. Retailers can submit items to be evaluated at no cost, making GoodGuide an accessible way to demonstrate transparency to health-conscious consumers. In addition to its web database of ratings, GoodGuide offers a mobile app to research products on the go and even scan barcodes to get information at the point of purchase. Consumers have been the driving force behind the rise of green brands in the marketplace, showing their desire to buy safe and sustainable products like cereal, shampoo, and household cleaners. In a Nielsen study, 66% of global respondents said they were willing to pay more for sustainable products. And of those prepared to pay more, nearly 60% cited the health and wellness benefits as a key factor in their decision. Retailers that make products compatible with those consumer ideals have seen plenty of growth, too. But so many companies have gone out of their way to tout how natural, sustainable, safe, or organic their products are, consumers are becoming skeptical. For a retailer trying to do right by both customers and the environment, that wariness can result in a decline in revenue or worse. But GoodGuide can help companies working hard for the global good earn validation for their products. GoodGuide provides access to scientific information about the safety of the ingredients in the products they use to encourage better buying decisions. The ratings shine a light on the ingredients list, addressing concerns posed by each component. GoodGuide rates products based on the health effects of their ingredients, as well as other relevant factors. Seeing a brand with a high rating on GoodGuide can lead to another positive in the business-consumer relationship: trust. In the Nielsen study, brand trust was the primary factor in eco-friendly purchases for 62% of respondents. GoodGuide fosters that trust through its commitment to impartiality and science-based ratings across a spectrum of products. It also allows consumers to take that information anywhere with a mobile app to access the entire GoodGuide database on the go to get product answers quickly. GoodGuide evaluates several aspects of a product to determine its health effects and rates each one on a 0-10 scale, with a 10 rating being excellent. First, it assesses the ingredients’ impact on the human body. If a product has negative health implications — such as a food using high fructose corn syrup — its rating will go down. The evaluation process then turns to data research. GoodGuide seeks out the most accurate information from a host of different sources, including the companies themselves, government agencies, and media outlets, among others, to assure the most accurate data goes into a product grade. GoodGuide’s scale rates the degree of concern over a product’s ingredients based on in-depth scientific research. Another part of the process includes checking regulations on the product ingredients to see if any are currently banned or restricted in any countries. The rating system was designed to take into account every aspect of a product and give a fair, honest, and accurate assessment of just how healthy it is. GoodGuide’s impartiality is also important, making it a trusted source. With this type of in-depth product analysis and consumer trust, retailers that want to make an impact in the eco-friendly space are flocking to GoodGuide to get their products rated. GoodGuide doesn’t rate a product subjectively, and with all the data it collects, the rating process takes time. Ratings are completely free, and all a company has to do is submit its product data to have it reviewed. But because the rating process takes time, GoodGuide also offers retailers an option to get a rating faster. The expedited option provides brands with flexibility while the free product rating service provides accessibility for all retailers. GoodGuide is a trusted source for product rating, and as consumers become increasingly mobile, the company is adapting so its ratings are available on the go. 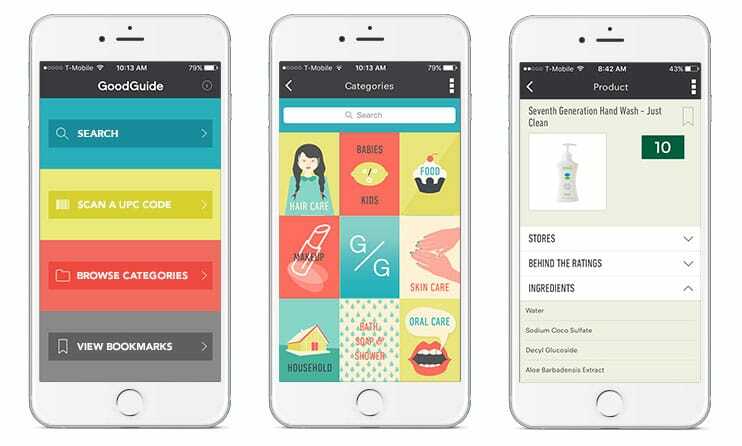 In its quest to help everyone make more informed decisions about products, GoodGuide created an iOS app that lets a mobile user search, browse, and bookmark products even while in the store. The app also contains a barcode scanner that fetches product information in the time it takes to snap a photo. With the GoodGuide mobile app, consumers can search products or simply scan a barcode to get information. 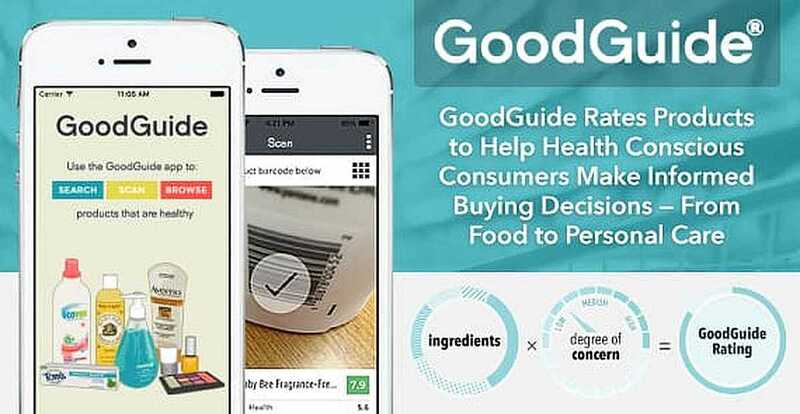 When health-conscious consumers can make more informed decisions from the grocery store aisle, GoodGuide believes everybody wins, including retailers. In any business, listening to the customer is the best course of action, and those using GoodGuide are speaking up. Consumers are willing to pay more for sustainable products and practices, and companies that make those products are seeing big financial benefits in catering to those desires. The Nielsen study shows that brands focused on health and sustainability averaged growth increases of 4% per year while companies lacking that commitment grew less than 1%. The rise of green brands has meant a seismic shift in market share for smaller companies, and all of this success comes from listening to the customer. “By integrating sustainability into their product design and marketing, they are winning over consumers,” Bill told us. With all of the marketing information and jargon out there, it can be hard to find the facts about products. By providing unbiased ratings, GoodGuide allows those retailers interested in health, sustainability, and transparency to be easily recognized by consumers.